TORONTO, Ont. — Peterbilt of Waterloo service manager Calum Robson was named the 2006 Chevron Diesel Technician of the Year last night at the Canadian Fleet Maintenance Seminars. 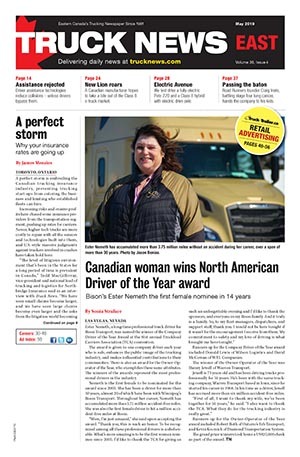 At the time of his nomination, Robson was a diesel mechanic for Peterbilt of Waterloo. He was recognized last night at CFMS during a special awards ceremony hosted by Chevron. 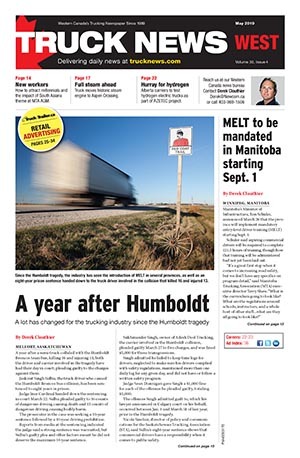 Robson received a framed certificate, a gift bag and watch while Peterbilt of Waterloo received a $2,000 training stipend and six-class package from Lubricants University, an online lubricant and coolant training center. Calums employers say he has been a role model for his peers and has promoted teamwork within the organization. He also boasts excellent customer service skills, according to his co-workers who marvel at his ability to take a difficult situation and turn it into a pleasant one for customers. I nominated Calum Robson for Diesel Technician of the Month because in the 14 years that I have been in the industry, I have never seen such a young man have the professionalism that he possesses, said his supervisor. It is truly rare. He can turn the worst possible experience for a customer into his best. We all at our organization often wonder if this guys is for real! Calum has excellent customer relations skills and is gifted with his own personal touch. Robson will be added to Chevrons Diesel Technician Hall of Fame. Other 2006 Chevron Diesel Technician of the Month award winners included: Dennis Meyer, City of Kitchener; Randy Walker, Northland Truck Sales; Roger Anderson, Windsor Fire and Rescue; Allan Sherpell, Harper Detroit Diesel; Mike Mines, City of Toronto; Dennis Renaud, Don Hearns and Sons; Barry Mackenzie, Kenworth Sudbury; Robert Brebant, Kenworth Sudbury; Peter Whynott, All North; Roger Bibeau, Leuschen Bros Garage; and Louis E. Kuntz, Marvin Freiburger and Sons. The award program is endorsed and sanctioned by the Automotive Transportation Service Superintendents Association, which also provides judging.